DO YOU KNOW THIS IMAGE? And does it remind you of something? 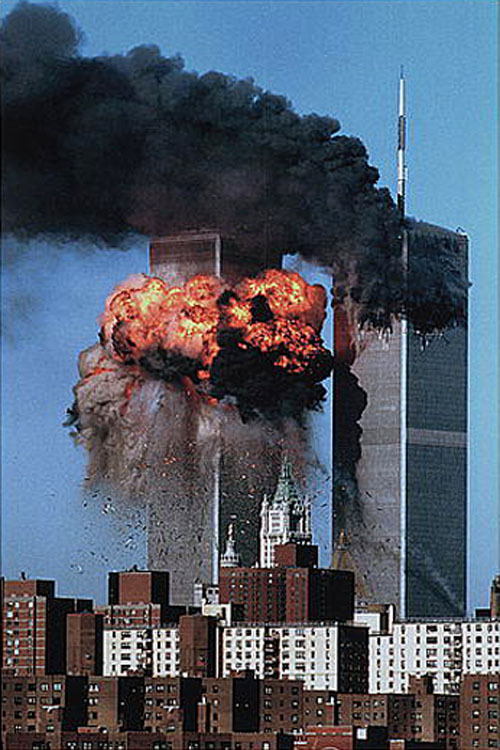 Shortly after 11 September 2001, my grandmother, Eva, discovered what she thinks might be a sign of Osama bin Laden’s ingenuity, and even perhaps the pictorial inspiration for the atrocity he had overseen. 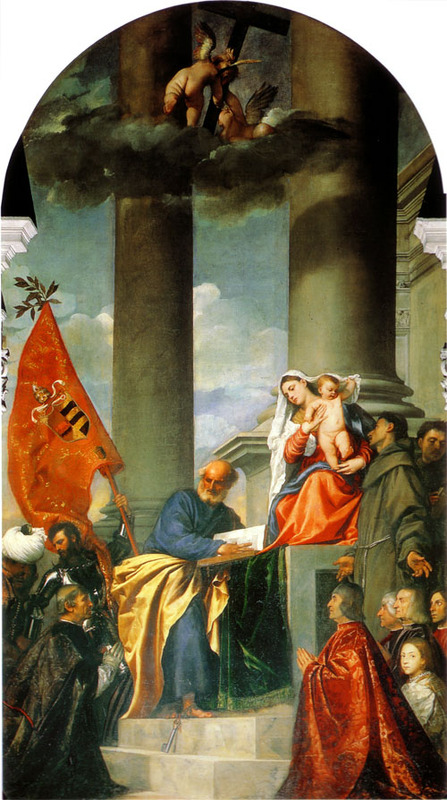 To thus refer to one of the great images of Christianity, the so-called Pesaro Altarpiece by Titian in the Church of the Frari in Venice (1519-26), would be a sign of both his sense of irony and his well-known learnedness, she maintains. Not being tech-savvy, she has asked me to convey her theory. So, Osama, if you read this, please get in touch. My grandmother wants to know whether she has sussed you out.